LOOK, WE KNOW the world is experiencing some sort of foodie revolution as of late, but not all of us can (or want to) be gourmet chefs. We’re not going to stop you dining out on ready-made pasta sauces and oven chips if that’s what you like, but we want to HELP you. Here are some small things you can do to make your lazy food-life even easier. It stops the crust from getting all chewy. THE HOLY GRAIL. 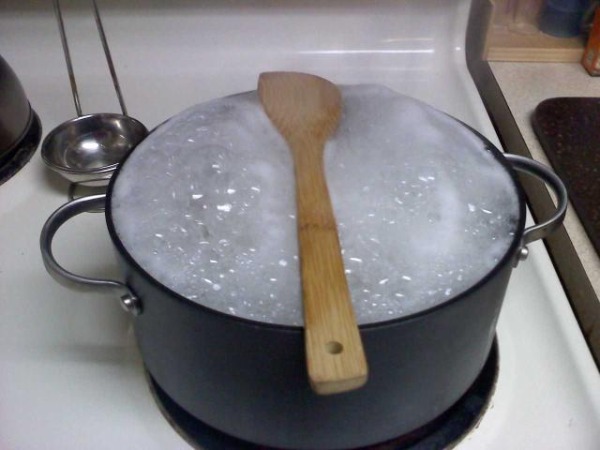 OR – give it a quick fry in a dry pan. Perfect. That little hollow will help it heat up quicker. Generally, you can measure out one cup of pasta/rice etc by the size of your fist. Obviously if you have especially big or small hands, you will need to take that into account. But it’s better than just eyeballing it and ending up with more pasta than anyone could ever eat, ever. Not sure if those eggs lingering at the back of the fridge are fit to eat? Place them in a bowl of cold water. If they’re fresh, they’ll sink and lie flat on their sides. If they’re a few weeks’ old but OK, they’ll sink but stand on one end. If they float, STAY AWAY. So you know how long it has been in the fridge. Important. 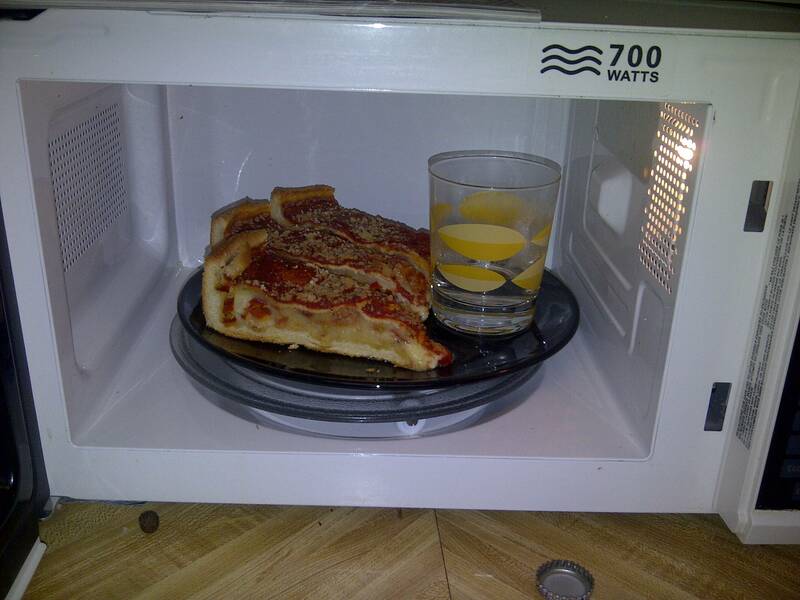 Think of all the precious minutes of life you have spent waiting in front of the microwave. Never again. If you’re prone to getting distracted by something else while cooking (the hallmark of a lazy chef), this will keep you from making a mess. Got any lazy cooking tips you’d like to share? Spill in the comments. Email “7 handy cooking tips for the lazy person in all of us”. Feedback on “7 handy cooking tips for the lazy person in all of us”.